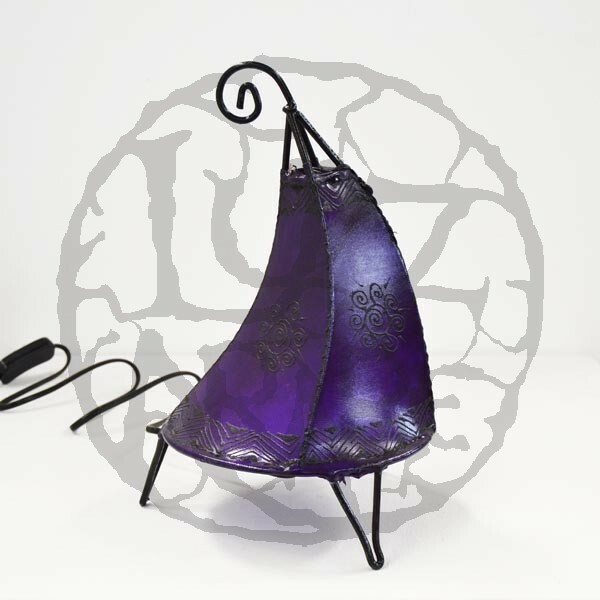 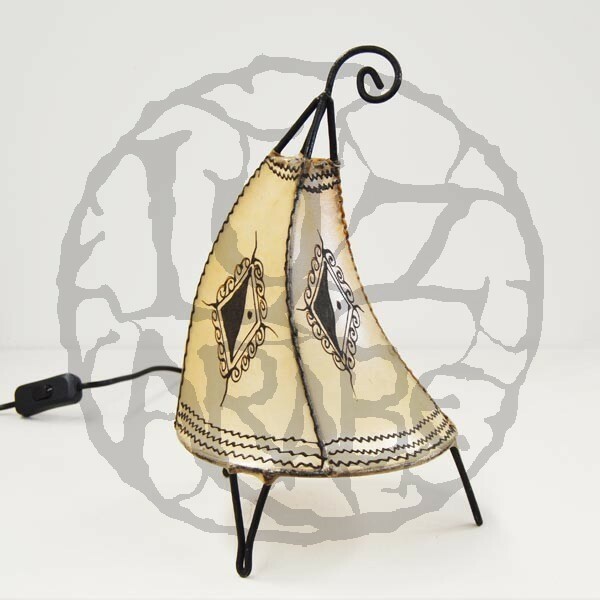 Leprechaun-hat shape table lamp covered with leather of cow, goat or lamb treated and hand painted with henna. 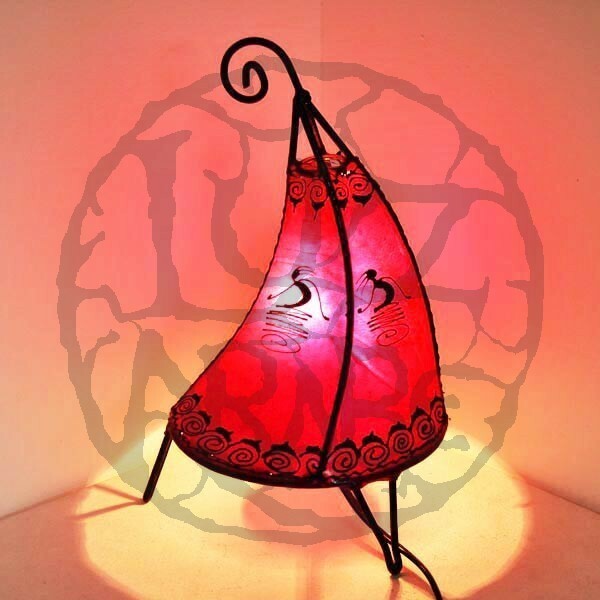 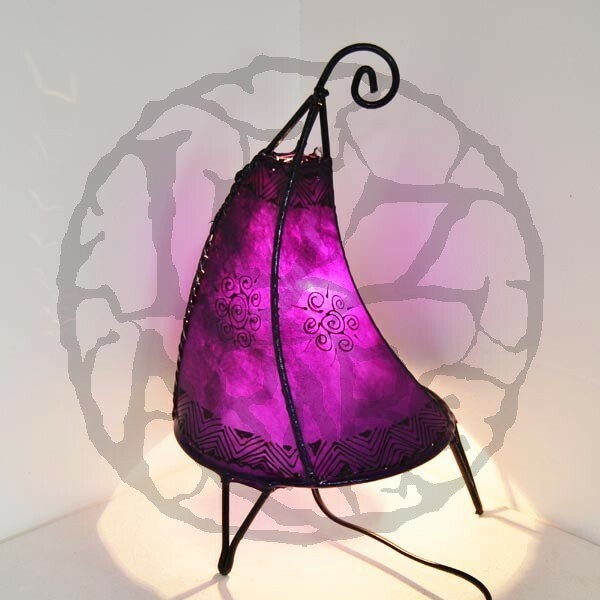 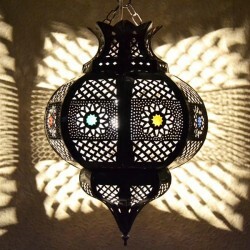 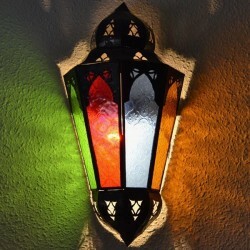 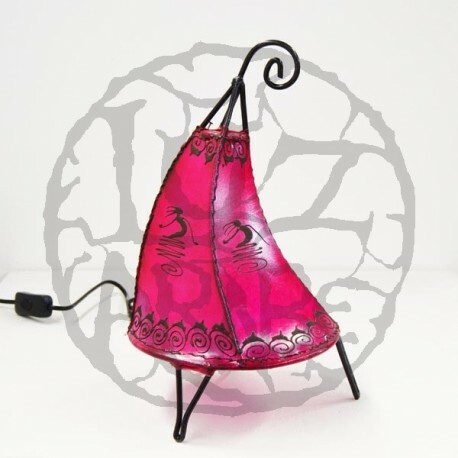 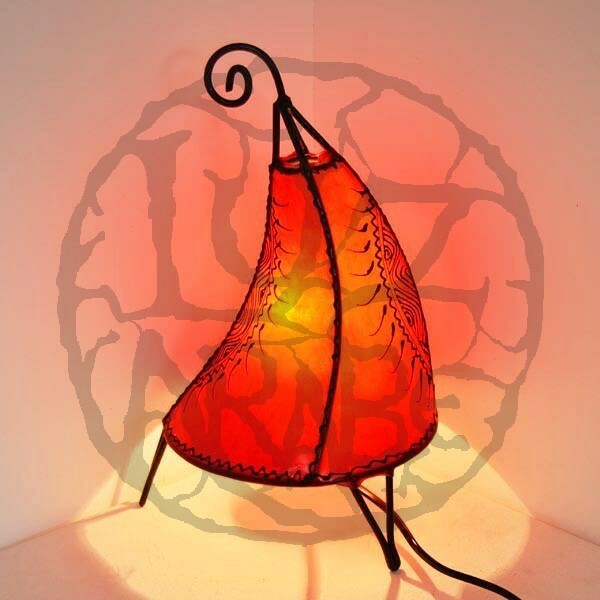 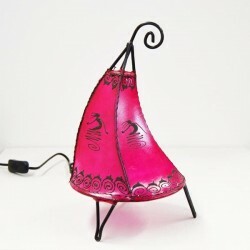 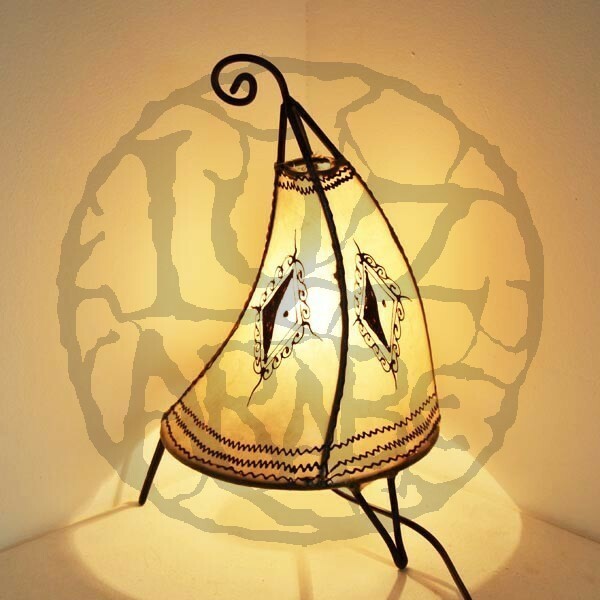 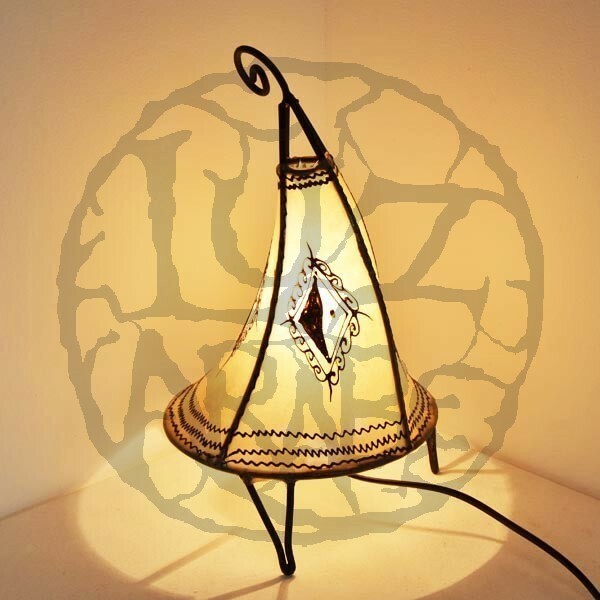 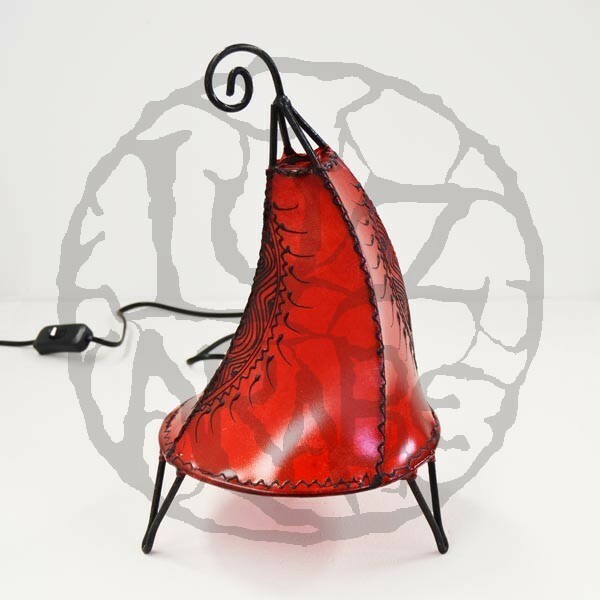 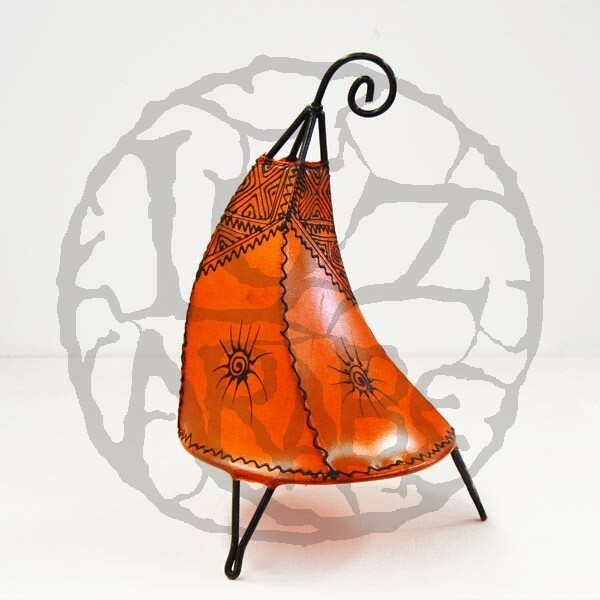 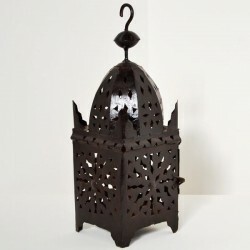 - Handmade table lamp of moroccan tanned natural leather hand painted with henna (Leprechaun-hat shape). 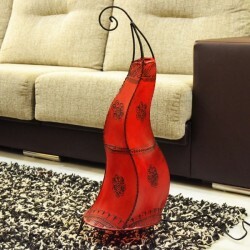 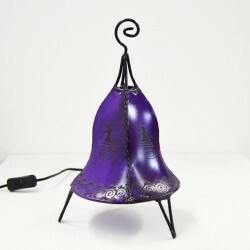 This type of table lamps is designed to put on the table, bedside table, desk or shelf. 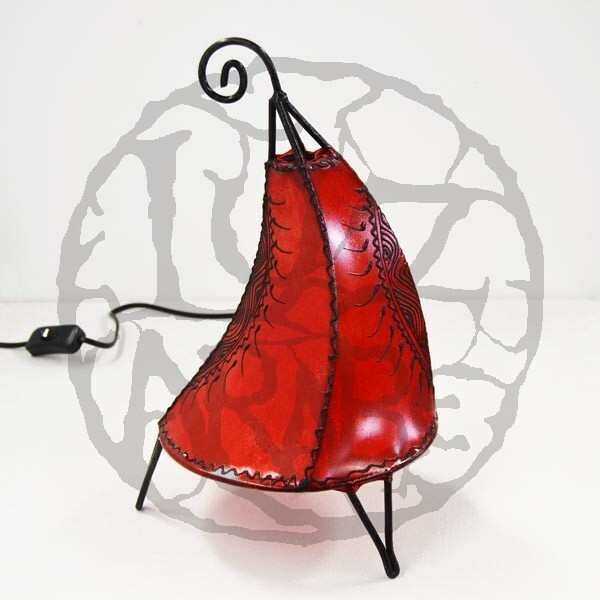 To place the light in the lamp you must install a nut cap at the screw shape mount, passing the cable through that screw. 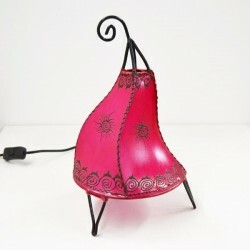 * Preferably, use a energy saving lamp to avoid the heat that can damage the leather. 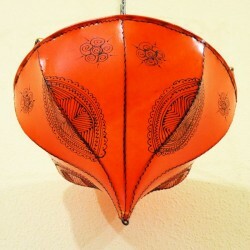 ** The leather goods are hand painted handcrafted unique items (not standardized), that the drawing varies for each item.